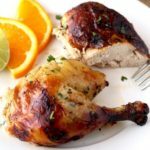 You are here: Home / Chicken and Poultry / Easy Orange Chicken – Healthier than Takeout! 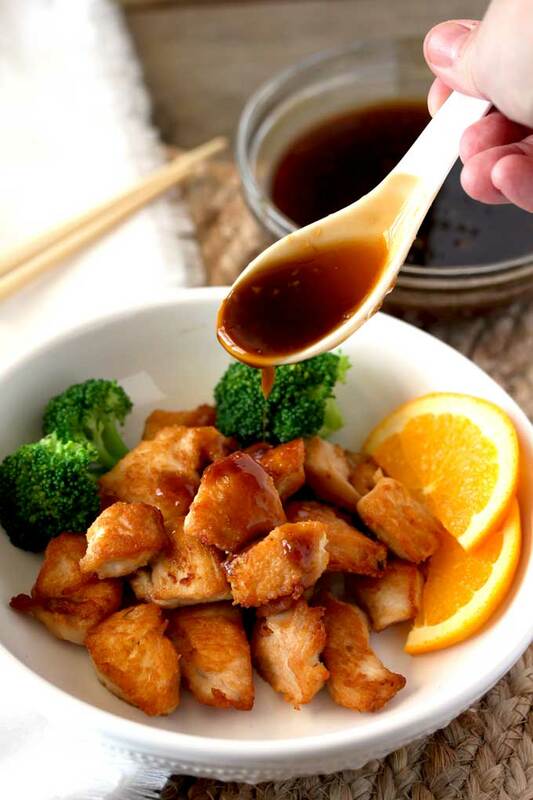 Easy Orange Chicken – Healthier than Takeout! 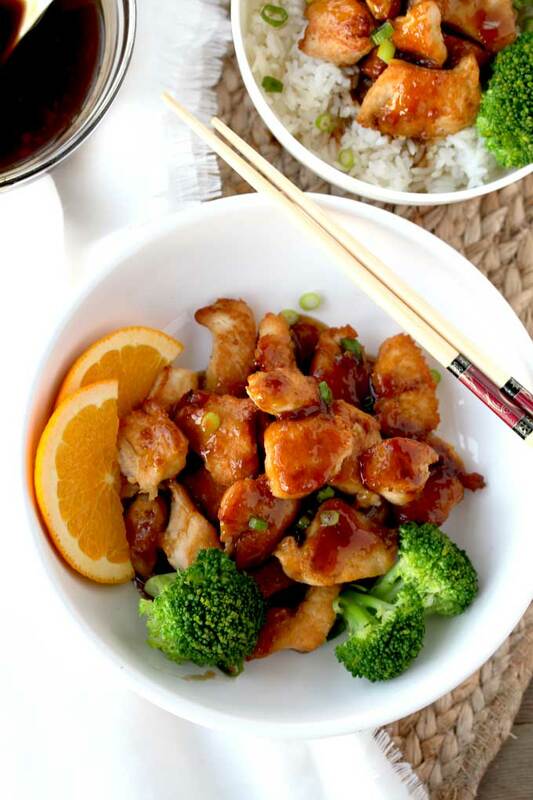 This Easy Orange chicken is crispy, sticky and delicious! A lighter and healthier version than the traditional Chinese takeout favorite! Orange Chicken is one of the most popular dishes at any Chinese – American restaurant and for sure every kid’s favorite takeout meal. I wanted to make everyone happy at home by making my own version. 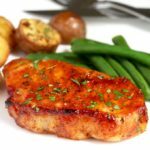 Why is this Easy Orange Chicken a Must Make at Home? Homemade is always best (duh!) you can control the quality of ingredients. This version is lighter and healthier. Traditional restaurant Orange Chicken is breaded and deep fried! All I see is calories piling up! Much more affordable than eating out! Crispy and golden without the deep fried oil bath – this recipe uses little oil and is cooked in a skillet. Quicker than takeout! 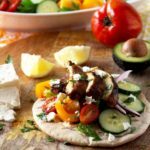 Dinner in 30 minutes without making phone calls or getting in the car! A lot less sugar than the restaurant version. 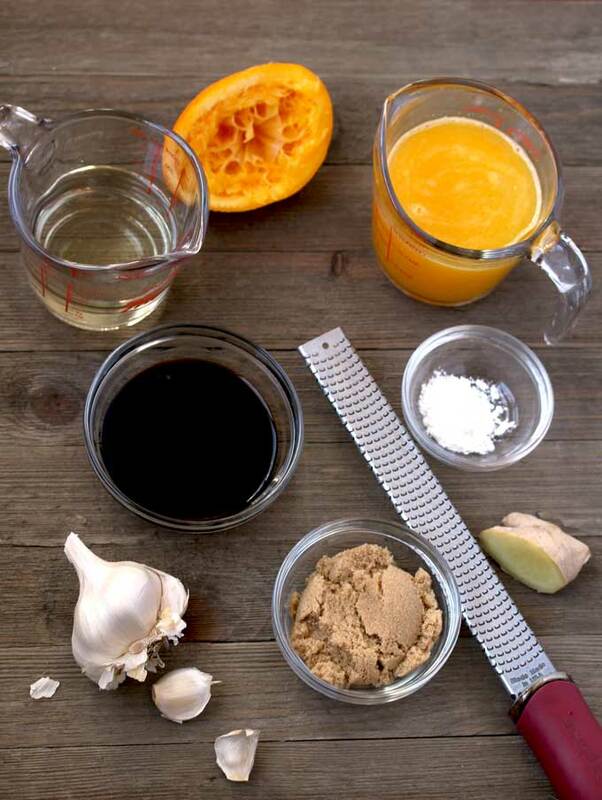 The orange sauce is very easy to make. Using freshly squeezed orange juice is much better for this recipe as commercially bought juice contains a lot of sugar. If all you have is bottled juice, you may want to reduce the amount of brown sugar. Start with less, taste and go from there. You can always add more. 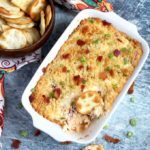 This recipe uses Mirin which is a rice cooking wine readily available at supermarkets and super centers. However, if you don’t have mirin at home you can use white wine or dry sherry (see more on Kathy’s Notes). My secret for crispy chicken without the breading or deep frying is cornstarch. A little bit of cornstarch creates a thin layer that gets golden and crispy. I also add a bit of soy sauce to flavor the chicken and to make sure the corn starch sticks! When you cook the chicken, make sure you don’t over crowd the skillet. You want to make sure the chicken is in a single layer having enough room for all the pieces to touch the bottom of the skillet. Too many pieces at once will steam the chicken instead. Serve this delicious dish with steamed rice or with this Jasmine Rice with Ginger and Lemongrass. 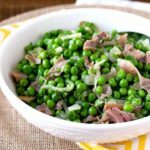 Steamed vegetables like broccoli, cauliflower and snow peas are also a great addition. The Orange Sauce can be refrigerated up to a week (it gets thicker when cold) or frozen up to 3 months. Mirin is sweeter than regular white wine. You can substitute mirin by mixing 1/2 cup of white wine with 1 tablespoon of sugar. For this recipe however, if you use white wine there’s no need to add extra sugar as the recipe already has sugar in it. 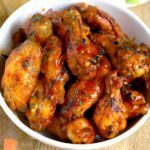 If you like crispy without the deep frying make sure you check my Baked Sweet and Spicy Asian Wings. 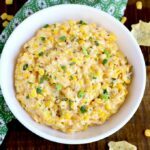 Easy, healthier and delicious! 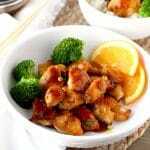 WANT TO TRY THIS EASY ORANGE CHICKEN? PIN IT TO YOUR MAIN OR CHICKEN BOARD TO MAKE IT LATER!! Combine the orange juice, mirin, soy sauce, brown sugar, ginger, garlic and orange zest in a small saucepan over medium heat. Bring to a boil, reduce the heat to medium low and simmer for about 6-8 minutes. Make a slurry by combining the water and cornstarch in a small bowl. Add the slurry (cornstarch/water mixture) to the sauce. Mix well and allow to simmer for 3-5 minutes. The sauce should be a bit thicker than maple syrup. If you would like a thicker sauce read notes. 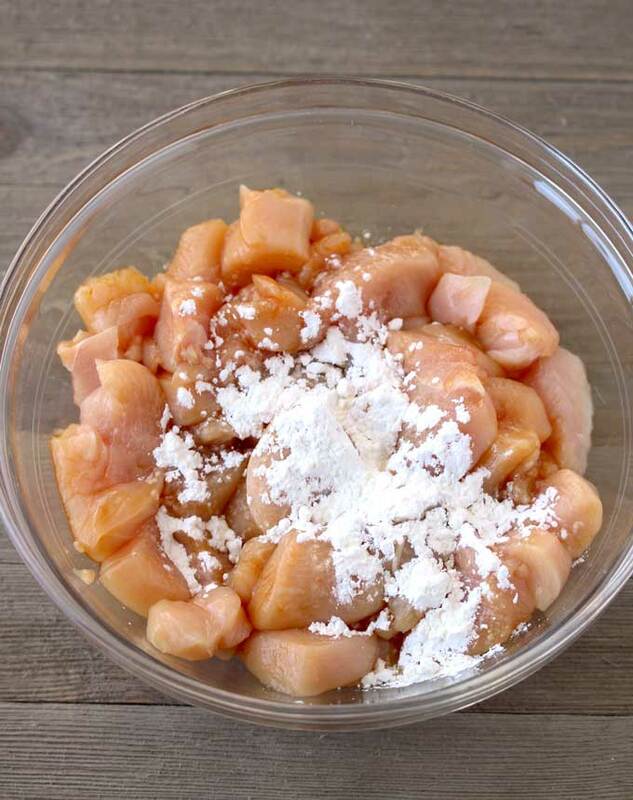 Place the chicken into a medium mixing bowl. Add the soy sauce and mix to combine. Add the cornstarch and mix well. Heat the oil in a large skillet or wok over medium high heat. Add the chicken, making sure they are all in a single layer touching the bottom of the skillet. You may have to cook the chicken in batches to make sure you get a crispy and golden layer. Too much chicken at one time can result in "steamed chicken" instead. Let the chicken cook until golden, flip and cook the other side until golden and cooked through, about 6-8 minutes total. 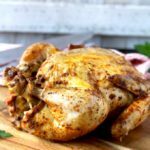 Remove the chicken from the skillet and place them on a plate lined with paper towels. Continue until all the chicken is cooked. To serve, turn off the heat from under the skillet and discard any remaining oil. Return the crispy chicken to the skillet and pour on the orange sauce. Stir to coat the chicken with the sauce. Serve. If you would like a thicker sauce, make more slurry by mixing same amounts of water and cornstarch. Start with 1 teaspoon water + 1 teaspoon cornstarch. You can always add more until the desired consistency is reached. 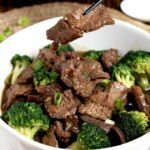 Beef with Broccoli – Better Than Takeout! I love the umami flavors in this from the mirin. This is one of our fave take out dishes!!! Yum! Totally healthier than takeout…and tastier too. Who needs to order in when you can make delicious food like this at home. 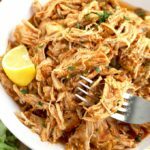 You know exactly what is going into it…..and the leftovers would be great for another meal or lunches during the week. Heck, I would make a HUGE batch and tuck some in the freezer for down the road. Yes Gloria, it freezes beautifully!! I love this! I will definitely be trying this some time soon. Perhaps I’ll reduce sugar even more. My husband doesn’t like sweet and savoury together (weirdo). I never tried “breading” the chicken in cornstarch before. That’s a very interesting idea. Thank you so much for sharing. Hi Julia, yes you can reduce the sugar even more or perhaps use some honey. The cornstarch is a very light layer. Only a tablespoon for 2 pounds of chicken!! Enjoy! This sounds great! I’ve actually done an “orange chicken” sauce on fish before, but I didn’t think about adding cornstarch to get more of a crisp! And I’ll have to look for mirin- I’ve used it before, but never found it in the store! Thank you!! I also have some substitutes for mirin in the post!! 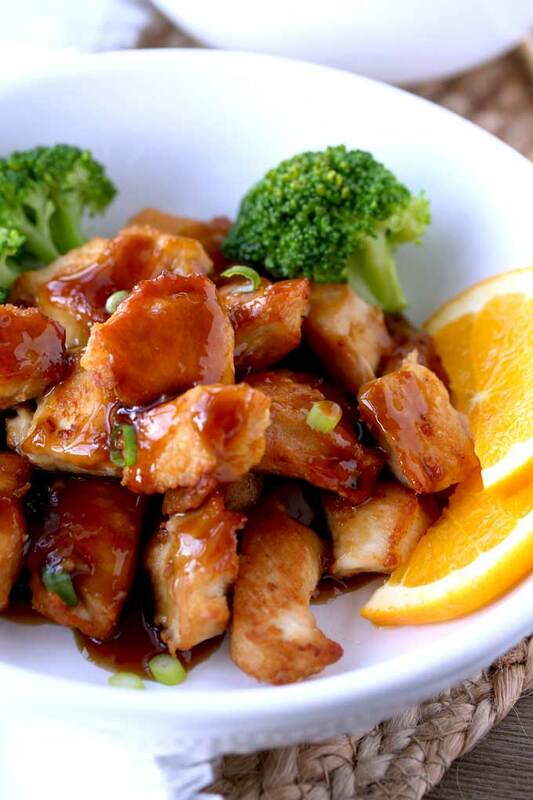 I love this Easy Orange Chicken! 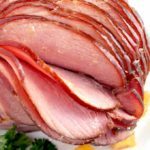 I don’t go out to eat anymore and I’m so glad I tried this recipe, it so ridicously easy and one of my family favorites! So glad you loved it!!! I absolutely love making “takeout” at home, and this orange chicken looks like the perfect weeknight dinner! I’d definitely make some of the sauce ahead so I’m ready to go on those nights when I need dinner *now* and usually end up reaching for the nearest menu. I love the cornstarch tip. 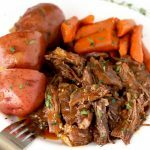 I often use potato starch, too, and it really helps get that great crispy texture! Thank you! Potato starch works beautifully too! Makes for a super crunchy crust.